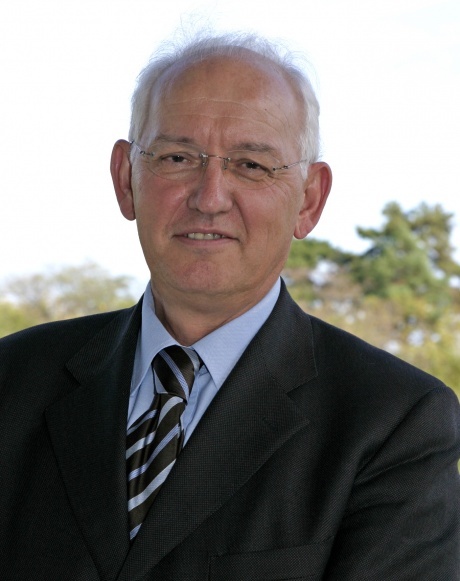 May 26, 2013: Marcello Malentacchi, General Secretary from 1989 to 2009 of the International Metalworkers’ Federation, a founding organization of IndustriALL Global Union, died on 24 May 2013 at the age of 66. He died of natural causes while cycling, one of his many passions in life, near to his birthplace in Tuscany, Italy. Marcello was a great, devoted and combative trade unionist who served the metal workers at local, national and global levels for more than 40 years, promoting solidarity and trade union values of social justice during decades of major changes in the world economy and politics. Inspiring a generation of trade unionists around the world, Marcello was a man of intelligence, culture and intuition who, working in six languages, responded actively and strategically to the many attacks on local and global rights and the dignity of labour, believing collective bargaining and strong independent unions were an essential part of society. In retirement, Marcello was pursuing his many interests, including following world politics, returning to the classroom as both a student and teacher, reading widely, travelling and enjoying family and friends and cycling. Throughout his life, Marcello never forgot the shop floor and working life where he came from. Born in 1947 in Grosseto, Italy, his father was an agricultural labourer and an active Italian Socialist. After leaving the village school, like many young Italian workers in an economy with few jobs, at the age of 17 he immigrated to Sweden. In Sweden he began working at the Volvo Torslanda auto assembly plant in Gothenburg in 1965. Very soon he became active in the trade union. Marcello was hired as Svenska Metall’s health and safety officer in 1974, and he was appointed to the IMF in 1981 to work with health and safety matters. Marcello was elected IMF General Secretary in 1989 and held that post until his retirement in 2009. Marcello will be remembered as a wonderfully warm and empathetic comrade. IndustriALL Global Union extends its deepest sympathies and heartfelt condolences to Marcello’s wife, Joséphine, daughters, Christina and Sandra, and his extended family in these terribly difficult times of grief. A memorial will take place in Messery, France near Geneva at a date yet to be decided. 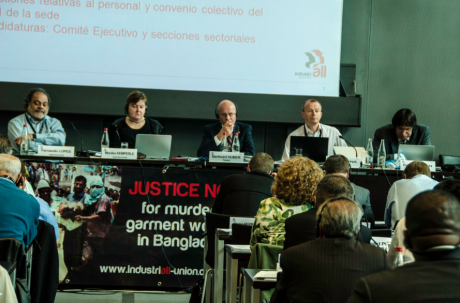 May 30, 2013: IndustriALL Global Union’s Executive Committee on 29 May commits to a comprehensive action plan on sustainable industrial policy. The Committee also affiliates the first new independent union from Egypt. Representing 50 million workers from a range of industrial sectors, IndustriALL Global Union wants to push for recognition of the importance of industry to national economies and as providers of good quality jobs. Robust discussions were held around the issues of trade union networks and global framework agreements (GFA) with multinational companies (MNC). IndustriALL Assistant General Secretary Kemal Özkan reported on newly established trade union networks at International Paper, Sappi, Saint Gobain and Owens Illinois. This year 21 company and sectoral networks will meet to build solidarity and joint action. Both positive and negative examples of GFAs have been experienced by IndustriALL affiliates. The Executive decided to set up a working group to monitor the contents and proper implementation of GFAs, and to work on a Charter of Principles to Confront Corporate Bad Behaviour, proposed by Workers’ Uniting. IndustriALL has concluded over 40 GFAs with major companies. Recently, a revised GFA was signed with Lafarge, and on 14 June a new GFA with Italian electric power utility Enel will be signed. The agreements contain improved language on permanent employment over precarious work and neutrality on organizing. New processes have been initiated with French oil and gas company Total, and the mining giant Anglo American. The Executive established a working group for developing a new affiliation fee system by the next Congress. The Committee approved the affiliation of the eight unions from Argentina, Democratic Republic of Congo, Uganda, Nigeria, Moldova, Tunisia, and the first new independent union from Egypt, the electricity workers’ union. The Executive Committee decided to meet on 4-5 December in Tunis as a show of support for democratic development in Tunisia after the revolution that launched the Arab spring in 2011. Click here to download Issue 1 of Global Worker. 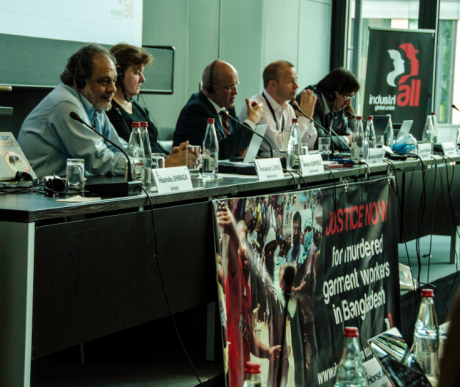 May 30, 2013: The first copy of IndustriALL Global Union’s biannual print magazine “Global Worker” was launched this week at the 28-29 May IndustriALL Executive Committee. Download the online version here. This first issue includes an in-depth feature on the Bangladeshi garment industry. Going to press just before the Rana Plaza tragedy that has gripped the headlines, this Feature underlines the unsustainable nature of the industry which was claiming hundreds of workers’ lives in horrible fires for years before the Rana Plaza collapse. A special report on IndustriALL’s discussions on sustainable industrial policy outlines and explains the issue. IndustriALL is launching an ambitious initiative on Sustainable Industrial Policy which aims to stimulate debate and action among affiliates and so promote a union perspective on the key sustainability issues for industry. Sign up to receive copies of Global Worker in English, French, Spanish or Russian by writing to info@industriall-union.org. In this first issue of the new printed journal IndustriALL interviewed the new Director General of the ILO, Guy Ryder. Director General Ryder is working to unblock internal deadlock and strengthen the ILO into an organization that tackles the crisis head-on. The magazine also includes profiles of Russian trade unionist Alexander Sitnov, Mauritian trade unionist Jane Ragoo and the “Beneath the Shine” campaign supporting the UAW’s organizing drive at Nissan in Mississippi. Guest author Peter Bakvis argues for a job-focused recovery strategy for Europe in an in-depth report on austerity. Bakvis is the Director of the ITUC/ Global Unions office in Washinton DC. Leaders of All India Trade Union Congress, Centre of Indian Trade Unions, Hind Mazdoor Sabha accompanied by union members from Maruti Suzuki, Honda, Suzuki Powertrain, RICCO, Suzuki bike, Hero Moto Cop, Sona Koyo Steering and Satyam Auto, have organized demonstration and one-hour sit-in protest against the arrest by the police of over 100 workers 19 May in Kaithal (Haryana state of India). The action is based on the earlier appeal of Maruti Suzuki Workers Union (MSWU) to all workers organizations, trade unions, democratic rights’ and civil rights organizations and mass organizations as well as democratic minded individuals to protest against the brutal repression waged by the state authorities against Maruti Suzuki workers. Since March 24 MSWU had organized actions including protest rallies and hunger strikes demanding reinstatement of 546 permanent and 1,800 contract workers dismissed by the company. According to MSWU the police have so far arrested 147 protestors and issued non-bailable warrants against 66 others. The workers believe the Government was not fully open in dealing with fired workers and always supported the management of the company. 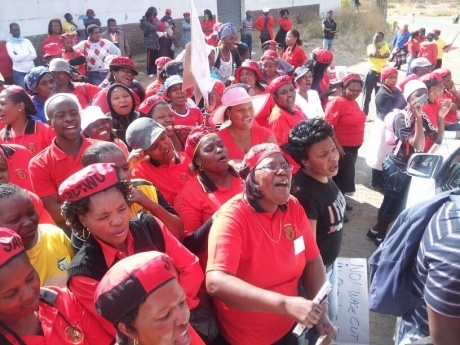 May 28, 2013: 10,000 Southern African Clothing & Textile Workers’ Union (Sactwu) members embarked on a two day protected strike action against continued undermining of the clothing bargaining council and payment of wages below the legally prescribed levels. The warning strike was in protest of violations by member companies of the United Clothing & Textile Association (UCTA). SACTWU’s core demand is immediate compliance with the legally prescribed minimum wage and an end to UCTA’s sustained attack on bargaining rights of clothing workers. In Newcastle alone, where the prescribed minimum starting wage is as low as USD43 a week, 4,200 workers participated in the strike action. 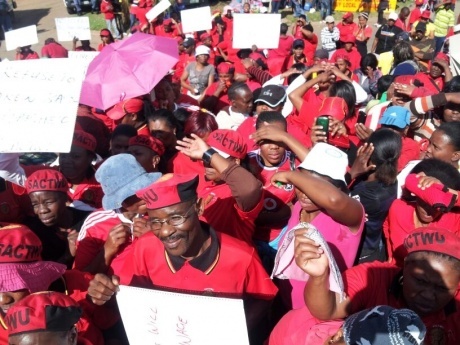 The rest of the workers supporting the strike were in other parts of the KwaZulu Natal region.